I love this vibrant background I made with distress inks and some splatter from my Gansai Tambi watercolors, I added a simple die but frame with a Cosmo over the top. I fussy cut the senitment them popped it up with foam tape. I finished by adding some gems. 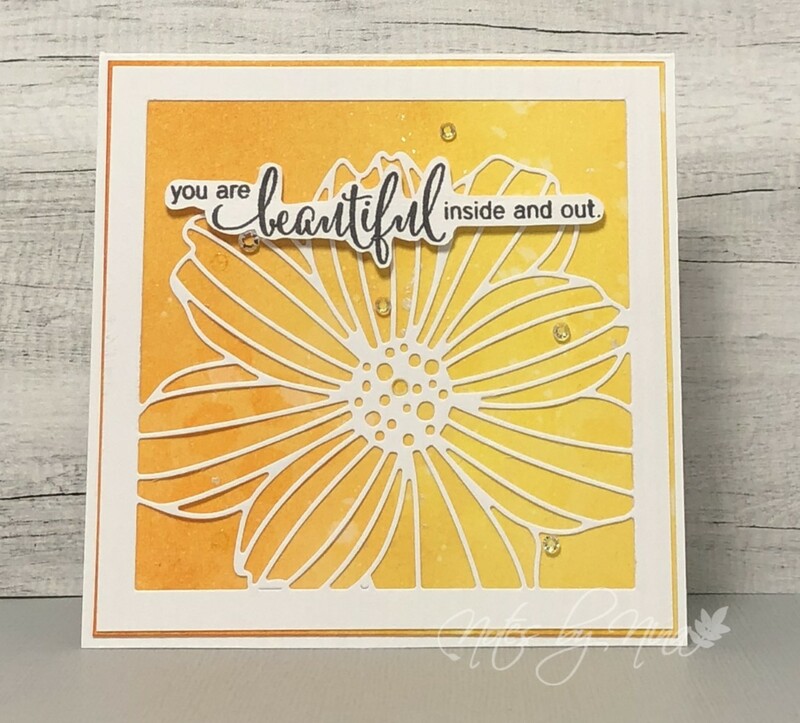 Supplies: White cardstock, Penny Black - Heartfelt, Simon Says Stamp - Cosmo die, gems. This card is a bit similar to one you gave me which has been on permanent display in my creative space. I think your watercolor is exceptional - so bright and bold. 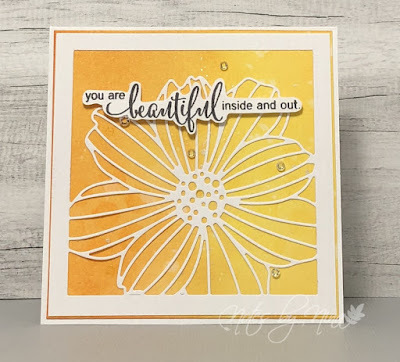 LOVE this die cut flower - seriously love it. You FUSSY CUT this sentiment? Man, you have steady hand! Bravo!